If your child's preschool years are coming to an end, your thoughts are probably turning toward kindergarten. But is your child ready to move on to the "big" school? What skills do kindergarten teachers expect their new students to have? To help answer those questions (and ease your mind), we've asked highly regarded kindergarten teachers from around the country to share their insights on helping your child gain the right mix of kindergarten-readiness skills. "I look for those qualities that prime children to be successful in school," says Kim Hughes. 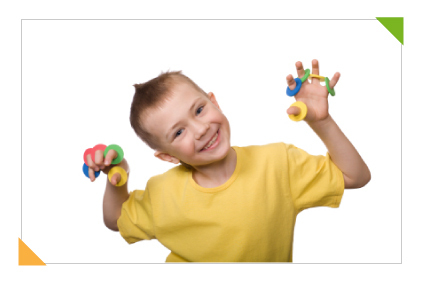 "Does the child approach learning enthusiastically? Is she eager to explore and discover? Does she ask questions, take initiative, and persist when tasks are difficult?" Follow simple two-step instructions such as "take off your boots and put on your sneakers"
Open up a juice box and get the straw in. "Some children are so dependent on their parents that they expect the teacher to do these things for them," says Hughes. "But when you have 20-plus kids in the room, it's hard to worry about wiping noses!" However, she notes that tying shoes is a developmental skill that often doesn't come until the first grade. If kids can't yet tie their shoes, Hughes suggests sending them in slip-ons or sneakers with Velcro fasteners.